In the meantime, you can watch this little video. Time Walk by The Pixel Crewsader. He introduces Bazaar of Moxen and BoM Tour 2016. Enjoy it and see you in Annecy in 4 days ! 7 Days till BoM Annecy !!! Of course The REAL SAVOYARD TARTIFLETTE too !!! Enjoy your meal and see you next week in Annecy ! Can't stand to be in Annecy ?! 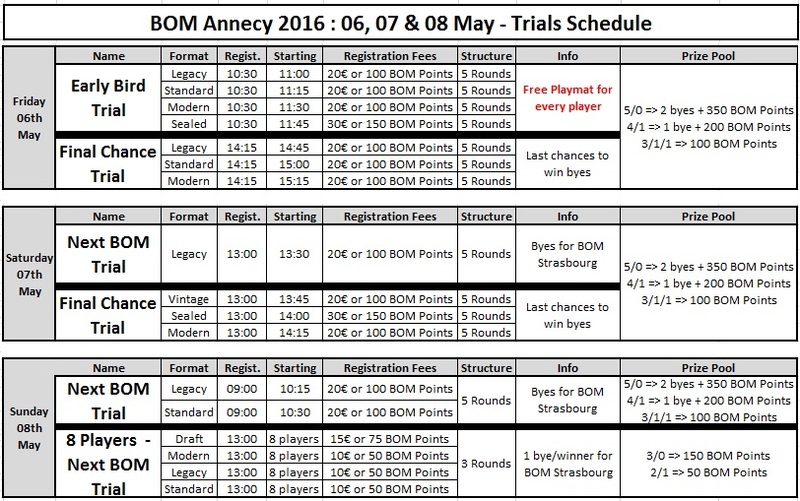 8 Days till BoM Annecy ! If you are not preregistered, go now ! Sandreline MTG Altered cards will be on BoM Annecy ! She makes a beautiful job, we let you enjoy it ! See you next week in Annecy ! 10 Days til BoM Annecy ! 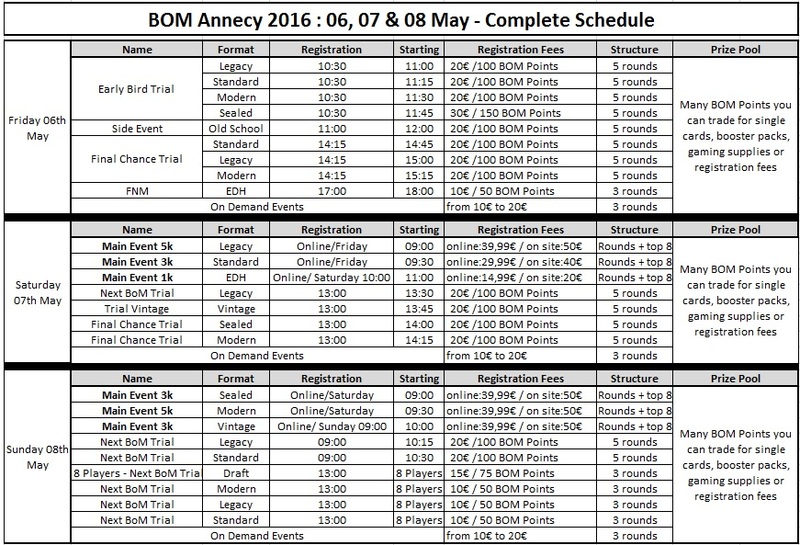 Every Main Events on BoM Annecy carry an X4 point multiplier !!! Such as PPTQ. 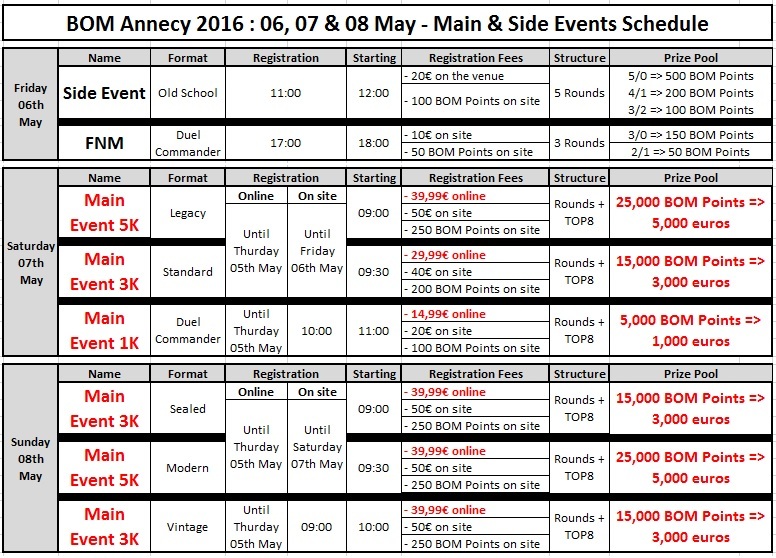 It's almost the end of the season, and BoM Annecy is the good spot to get your last Planeswalker Points. Preregister now and join us ! If we tell you… bacon, potatoes, onions, reblochon. What do you think about ? You can enjoy this Savoyard specialty during our BoM Annecy ! Thanks to the french caterer "la petite semaine" who will be on the place ! Obviously hot dogs, sandwiches and pasta will be waiting for you! This guide is a very good tool to find an hotel, to play Magic in a store in Annecy, to visit the best Annecy places/museum or tasting annecy foods. All you need to enjoy your trip ! A special thanks to Sylvain Boisbourdin and Victor Truong for this guide. And we are proud to show you the beautiful and unique playmat illustrated by Paul Cezanne ! Play the Early Bird Trial of friday to get it !